Why is it that the deaths in Kashmir, and the blinding of more than 100 people are never referred to in the media or in drawing rooms as the death and injury of Indians? For days after the killing of Burhan Wani, every TV channel rang with acrimonious debate. Wani was described by India as a terrorist and by Pakistan as a martyr. The media resounded to argument and indignation. The number of dead and injured continued to rise relentlessly. Among the earliest to be killed was Yasmina of a suburb of Kulgam in south Kashmir — her brother Amir Hussain serves in the Border Security Force in Tripura — as she fled from a street into a side lane with her teenage brother whom she was dragging away from joining the protesters. The 54th death on July 31 was of young Ishfaq Ahmed of Sopore in north Kashmir with a shattered skull, which although denied by the SP, himself a Kashmiri, the public believes was a result of beating by the police. It was only in March this year that I had travelled to south Kashmir on the invitation of the then popular CPI(M) MLA, Mohammed Yousuf Tarigami. I was to address officials of Kulgam district on the right to information (RTI), under the District Development Commissioner, a dynamic young Kashmiri, Syed Abid Rasheed Shah, one of several young Kashmiri officers who have successfully qualified for the IAS to serve their people through governance. RTI has captured the imagination of many a young Kashmiri, within service and without. Abid is today the District Development Commissioner of Chief Minister Mehbooba Mufti’s home district of Anantnag. The Kargil Conflict had fortuitously brought to the centre-stage the need for an integrated approach towards intelligence gathering and joint operations. The 26//11 Mumbai attack has woken us to the reality of a unified approach between the states, the Coast Guard and the Indian Navy. The Defence Procurement Procedures over the years have tried to bring transparency into our procurement process and there have been some moves towards increasing private sector participation in defence manufacturing. However, unlike the automotives and telecom sector, the relationship between the DPSUs, the DRDO and the private sector remain uneasy and adversarial. The DPSUs still do not consider the private sector as partners but as contractors. The record of private sector players such as L&T in strategic programmes like that of Arihant is salutary. A defence capability improvement would need major structural change. Either we have a DGA-like structure or the COCO structure of the USA with the government providing oversight on strategic issues. The Kargil War uncovered the fault lines in the coordination between different agencies which are engaged in containing external threats. 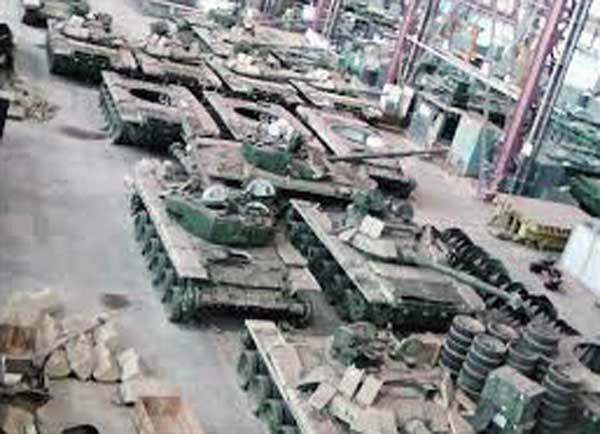 The Group of Ministers Recommendations (2002) made wide-ranging recommendations to fill up this critical void by providing for an Integrated Defence Services (IDS) Structure, Joint Services operation and creation of an Acquisition Wing. The DPP 2002 was the first definitive document which dealt with the nuances of acquisition by categorising our defence requirements as ‘Buy’ (Import) and ‘Buy and Make’. Those for and against free trade are often motivated by political agendas. The 2016 U.S. presidential campaign has brought renewed focus on the agreement and evolved the debate from whether it hurts jobs to what extent it should be changed to protect U.S. jobs. U.S. presidential candidates Donald Trump and Hillary Clinton have raised the possibility of renegotiating the North American Free Trade Agreement (NAFTA) between Canada, the United States and Mexico. While campaign speeches should often be considered political white noise, the core issues being addressed sometimes have geopolitical significance. The future of NAFTA is one of these core issues. It currently serves as the framework that dictates how the U.S., the world’s largest economy, carries out trade with two of its top three trading partners. It also encompasses the three major economies of theWestern Hemisphere, distinct for its stability while much of Eurasia is in crisis. 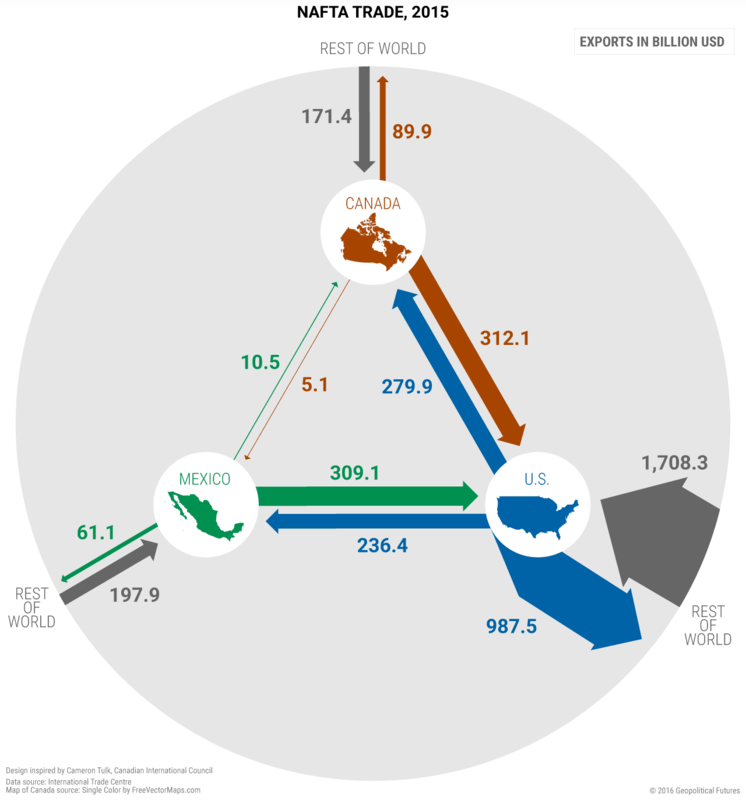 NAFTA’s impact on U.S. employment is the main point of contention inspiring calls for a renegotiation or even an end to the agreement. This debate over the cost of more open trade to U.S. jobs is nothing new. The balance between the benefits of trade and accompanying adjustments in the U.S. job market has been a divisive issue in U.S. domestic policy for decades. In a 1962 message to Congress, President John F. Kennedy noted: "The burden of economic adjustment should be borne in part by the federal government.... [T]here is an obligation to render assistance to those who suffer as a result of national trade policy." Pakistan’s move to institute new arbitration proceedings over the Indus waters goes against the spirit of the landmark agreement. Water sharing, transparency and collaboration are the pillars on which the unique Indus Waters Treaty was erected in 1960. Islamabad’s recently unveiled intent to haul India again before an international arbitral tribunal is a testament to how water remains a source of discord for Pakistan despite a treaty that is a colossus among existing water-sharing pacts in the world. In Asia, the vast majority of the 57 transnational river basins have no water-sharing arrangement or any other cooperative mechanism. India, however, has water-sharing treaties with both the countries located downstream to it, Pakistan and Bangladesh. These treaties govern the subcontinent’s two largest rivers, Indus and Ganges. 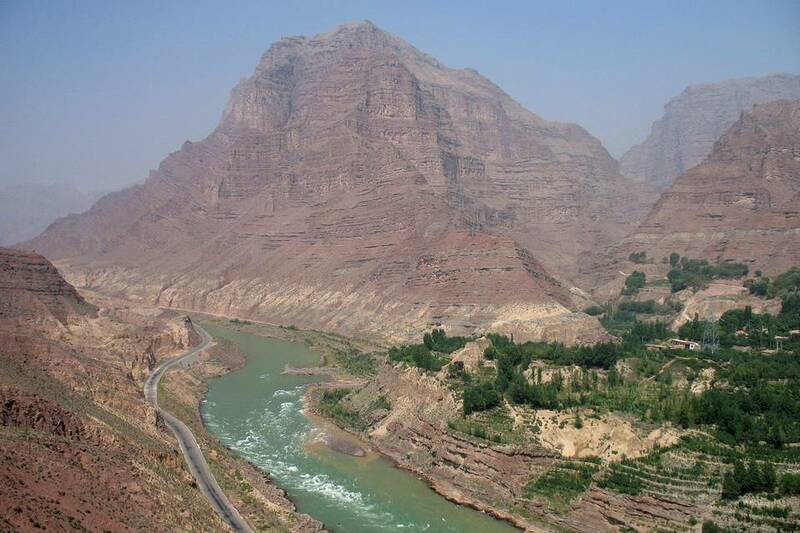 By contrast, China, despite its unrivalled international status as the source of river flows to more than a dozen countries, stands out for not having a single water-sharing arrangement with any co-riparian state. Significantly, India’s treaties with Pakistan and Bangladesh are the only pacts in Asia with specific water-sharing formulas on cross-border flows. They also set a new principle in international water law. The 1996 Ganges treaty set a new standard by guaranteeing delivery of specific water quantities in the critical dry season. Indian Prime Minister Narendra Modi started his tenure just over two years ago with a message of goodwill and partnership in development with India’s neighbours, including China. Soon after, Chinese president XI Jinping made his maiden visit to India. The red-carpet welcome to Xi in Modi’s home state of Gujarat was unprecedented in warmth - photographs of the two of them sitting on a swing conveyed a sense that India and China were setting aside their differences and building on their common desires - “a win-win” situation. But behind this bonhomie, in typical Chinese style, Chinese troops showed their flag in Indian perceived territory ,in the western sector of the India- China border. Although the Indian government downplayed the incident, the Chinese position was made abundantly clear. A similar PLA incursion took place just before Chinese premier Li Keqiang visited India in 2013.Hectic diplomatic efforts by both sides saved the visit, but India made itself look like a supplicant. The recent Chinese incursions in Barahoti, Uttarakhand on the 22nd and 25th of July included air intrusion, mainly meant to photograph Indian border forces positions. Both sides withdrew without any incident. Barahoti falls in the Middle Sector (the smallest sector comprising approximately 20 thousand sq kms) the only sector where maps have been exchanged and both sides know their claim–lines. Hence, the intrusion is suspected to be an attempt to test Indian reaction. 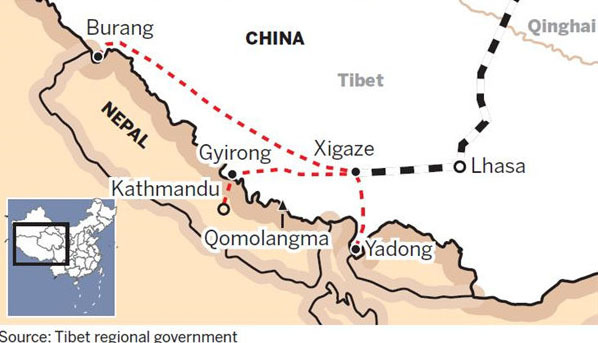 China has steadfastly refused to exchange maps of the Eastern and Western Sectors, the two major sectors where China claims huge portions of Indian territory including the entire state of Arunchal Pradesh. Such incursions by the Chinese will continue and may increase in intensity. Maoist Chief Pushpa Kamal Dahal is poised to take over as Prime Minister in place of Oli. Till the time of writing no other leader has registered for election to the post of Prime Minister, though there were reports from the valley that the former Speaker Nembang may be put up as a candidate from the UML. On the 25th of July, moments before the voting of the No confidence motion in the Assembly, Oli tendered his resignation. The President had given a week’s time to the parties to decide on the future Prime Minister. It is only nine months since Oli took over as prime minister. The problems he faced were all inherited from his predecessors who now accuse him of inefficiency and non governance. At any rate by resigning and not fighting to the end, he has emerged as the hero to many in the valley. If there is one contribution he has made to Nepali politics- it could be to the complete polarisation of Nepali Politics into Pahad- Madhesi politics. I would also add that another notable contribution of his would be the irreparable damage he has done to Indo Nepal relations and in this he was ably assisted by Indian policy makers too. This was unfortunate as Oli is perhaps the best of the top three triumvirate- Khanal, Madhav Nepal and he. Yet his strong antipathy towards the Madhesis and the Madhesi cause is not understandable. Oli will also be remembered as the father of the attempts of Nepal to reduce its over dependence on India and make an opening to China. While this may not succeed in the near or medium turn, his efforts will certainly be seen with admiration in the valley after the four and a half months of blockade experienced during the Madhesi agitation. Ever since the formation of SAARC in 1985, Indo-Pak relations have always overshadowed various other important regional issues. Pakistan’s obsession of Kashmir and its aggressive stance on that matter make her raise it on all international forums including SAARC. Thus derailing the very basic agenda of regional cooperation into a bilateral slug fest between the two nuclear armed nations. 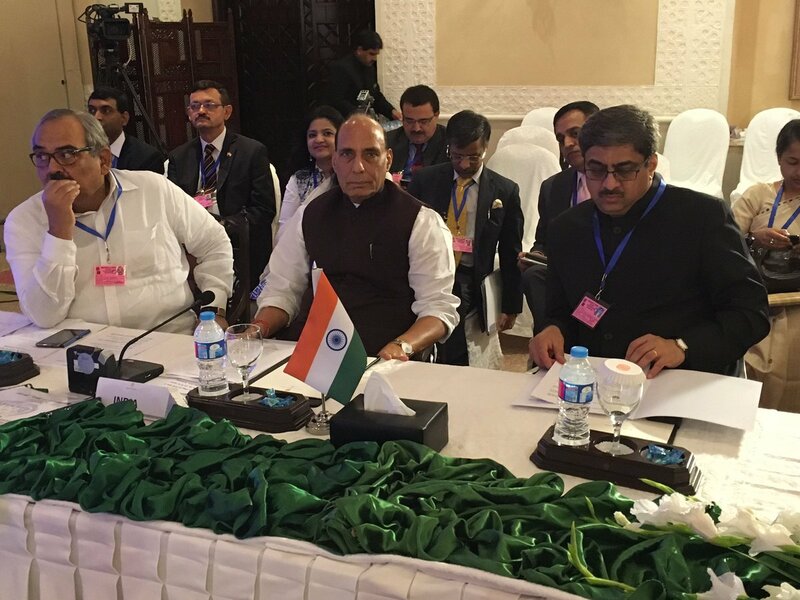 India’s Home Minister, Mr Rajnath Singh was in Pakistan, attending the annual SAARC Home / Interior Ministers’ meet at Islamabad on Aug 04, 2016. Never ever in the history of Indo-Pak relations, an Indian minister has so unequivocally blamed Pakistan for region’s instability on its very own soil. In his speech, the Indian Home minister lashed out at Pakistan without naming her, for her support of terrorism, eulogising the terrorists and harbouring them. Never ever in the history of Indo-Pak relations, an Indian minister has so unequivocally blamed Pakistan for region’s instability on its very own soil. He highlighted Pakistan’s role in terrorist attacks stretching in time and space from Kabul to Dhaka. He emphasised the urgency to punish those who perpetrated attacks on Mumbai and Pathankot. Mr Rajnath Singh stressed the need to act against the countries who shelters terrorists. He in his speech he said, “It also needs to be ensured that terrorism is not glorified and is not patronized by any state. One country’s terrorist cannot be a martyr or freedom fighter for anyone. I also speak for the entire humanity- not just for India or other SAARC members – in urging that in no circumstances should terrorists be eulogised as martyrs. Those who provide support, encouragement, sanctuary, safe haven or any assistance to terrorism or terrorists must be isolated. Strongest possible steps need to be taken not only against terrorists and terrorist organisations but also those individuals, institutions, organisations or nations that support them. Only this will ensure that the forces engaged in promoting the heinous crime of terrorism against humanity are effectively countered”. These clear references of Pakistan and her involvement in terrorism has made this speech historical. A similar sentiment was echoed by the Interior Minister of Afghanistan on Pakistan’s involvement in fuelling unrest in his country. Already, Bangladesh had marked its protest by boycotting this meet, after the evidences of Pak involvement emerged in Dhaka terror strike last month. Thus, Pakistan stood isolated and exposed on this regional platform. Bangladesh had marked its protest by boycotting this meet, after the evidences of Pak involvement emerged in Dhaka terror strike last month. Thus, Pakistan stood isolated and exposed on this regional platform. It was just a coincidence that on this very day, United States blocked 300 million dollars as military aid to Pakistan. Defence Secretary Ashton Carter declined to give certification to the Congress that Pakistan is taking sufficient action against terror network in that country. This being a prerequisite before releasing the Coalition Support Fund. Interestingly a snub from Secretary General of the United Nation, Mr Ban Ki-Moon to Pakistan on latter’s request for UN intervention in Kashmir also came on the same day. He referred to the present unrest in Kashmir as internal matter of India and said UN had no mandate beyond monitoring the situation on Line of Control. As the regional ministers met in Islamabad on the lines of the agenda set way back in 2005, Pakistani capital witnessed hundreds of state harboured terrorists led by non-other than Hafiz Saeed and Sayeed Salahudeen on its streets, protesting against the visit by Indian Home Minister. It was during the thirteenth SAARC Summit held in Dhaka in November 2005, where the leaders condemned terrorist violence in all its forms and manifestations. They had agreed that terrorism was a challenge to all States and a threat to humanity and could not be justified on any grounds. The Heads of State or Government also decided that the SAARC Interior/Home Ministers meet annually preceded by a Meeting of the Interior/Home Secretaries to strengthen cooperation in this area. Unfortunately, ever since the formation of SAARC in 1985, Indo-Pak relations have always overshadowed various other important regional issues. Pakistan’s obsession of Kashmir and its aggressive stance on that matter make her raise it on all international forums including SAARC. Thus derailing the very basic agenda of regional cooperation into a bilateral slug fest between the two nuclear armed nations. India’s foreign policy against Pakistan seems to be working. India has managed to convince the international community; the role Pakistan plays in destabilising the region by supporting terrorism. It has been witnessed over the years that the meetings between the ministers and the secretaries of India and Pakistan generate great euphoria on both sides of the border. Each such meet becomes episodic and the media reduces these foreign relation / bilateral events into a 20-20 cricket format, ironically much to the public delight. Notwithstanding the episodic nature of our bilateral relations with Pakistan, India’s foreign policy against Pakistan seems to be working. India has managed to convince the international community; the role Pakistan plays in destabilising the region by supporting terrorism. And this meet at Islamabad, being one such international forum where Mr Rajnath Singh said what India should have said long before. Much water has flowed ever since the lavish spread at lunch for the visiting Pakistani Prime Minister to Ajmer. The leader visited India just after the beheading of two Indian soldiers at the LoC in 2013. Today the world needs India more than India needs the world. The fastest growing economy on the globe, India is a regional power too recon with. It would be in order to say that India’s strong democracy, sound economy and powerful military is what has empowered the Home Minister to make Pakistan see the mirror on her own soil. The PLA has emerged from the darkness of 1989 to reclaim the hearts of the masses. It’s harder than iron, stronger than steel. Barack Obama is contemplating a revolutionary — and exceedingly dangerous — change to U.S. nuclear policy. The lyrics to “Unity is Strength” might sound a little unwieldy on paper, even a touch threatening. Yet the melody has an upbeat, rousing feel, especially when belted out with the full-throated enthusiasm of youngsters singing for their supper. Such is the order of army life — first you praise, then you eat. But their nightly routine is a reminder of the human reality behind the stentorian militarism that Beijing has been propagating over the South China Sea. Enough time has passed since the attempted coup to begin to take stock of the situation. President Recep Tayyip Erdoğan has clearly emerged from the coupin a stronger position than before. The coup, rather than fragmenting the country, has brought it a greater degree of unity, outside the Kurdish area, than has been seen before. Erdoğan is restructuring Turkish institutions, from the military to schools to the media, in ways that will support whatever moves he chooses to make. His long-term intentions – the ends toward which he is restructuring Turkish institutions – are unclear. The restructuring, arrests and firings will make him enormously powerful, but the important question is what he intends to do with that power. Let me begin with a point I have made many times over the years. There are four significant powers in the region, each with the ability to defend themselves and project some degree of power. They are Saudi Arabia, Iran, Israel and Turkey. Of the four, only Turkey has the size, economic power and political influence to shape the region. On the surface, Israel is the strongest power, but its size limits its power projection to its near neighbors. It has political influence, but that is limited by the fact that it is a Jewish state. Saudi Arabia’s primary source of power is money, but the decline in the price of oil has undercut that influence, while its military, as we have seen in Yemen, has not evolved sufficiently in its effectiveness. Iran is limited by geography. Its ability to project and sustain large-scale military forces west of the Zagros Mountains is limited. It is compelled to channel its power through proxies of limited strength. Turkey alone has the mixture of economic, political and military power to become the major regional power. For over half a millennium, save for the period after World War I, Turkey has been the dominant regional power. Today, it has the largest economy and military in the region and, therefore, ought to have the greatest influence. On Wednesday, Italy agreed to “positively consider” any US request to use Italian airspace and airbases for bombing missions against Isis in Libya. The move follows a series of US air strikes against Isis militants in the Libyan coastal city of Sirte on Monday. That action – which President Barack Obama declared as in the “vital national interests” of the US – is anticipated to be the first move in a sustained international offensive against Isis outside of Iraq and Syria. The US strikes were conducted after a request from the UN-backed Libyan Government of National Accord (GNA). While the attack is not the first time that US warplanes have bombed Isis in Libya (a training camp in Sabratha was attacked in February), Monday’s move could prove more significant because it signifies a deepening of Western commitment to the Libyan administration – militarily, politically and economically. 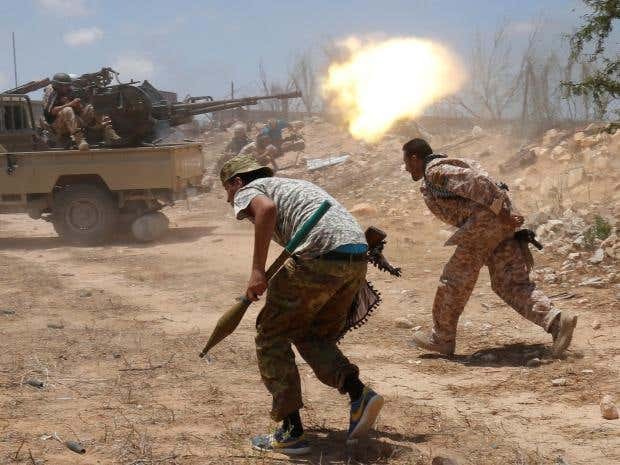 At a time when the GNA is trying to restore order in the country, there are growing concerns that Isis may be establishing a stronghold in Libya. US intelligence, for instance, estimates indicate the number of Isis fighters in the country has doubled to between 4,000 and 6,000 in the last 12-18 months, with growing evidence that a significant number of these terrorists are travelling from Iraq and Syria where – because of offensive operations from the 66 member coalition forces – Isis fighters are now believed to be at the lowest levels for at least two years. The Obama administration seems to have two counter-terrorist policies: one for Shiites and another for Sunnis. That, at least, is the only conclusion one can draw from the latest news, broken by the Wall Street Journal, that the administration airlifted $400 million in cash to Iran, with the money arriving on the very day that four Americans were released from Iranian prisons. The administration has generally been better about not paying ransom to Sunni groups. The notable exception is the swap of U.S. Army soldier Bowe Bergdahl for five Taliban prisoners. But otherwise, the administration has held the line on payments to the Islamic State, al-Qaeda, and affiliated organizations. Indeed, U.S. officials have been critical of European countries that have paid hundreds of millions of dollars to Sunni terrorist groups, thus enabling them to fund their operations—including more kidnappings. 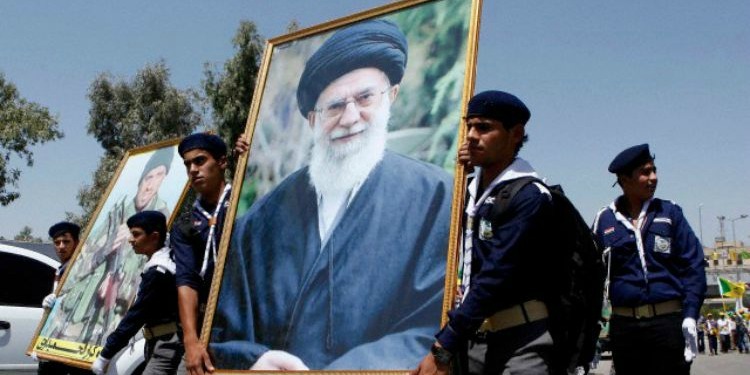 The administration, of course, claims that the payment in cash to Iran was not for the hostages—it was merely the first installment of a $1.7 billion settlement of a 1979 arms transaction that was frozen after the seizure of the U.S. Embassy in Tehran. “The negotiations over the settlement of an outstanding claim… were completely separate from the discussions about returning our American citizens home,” State Department spokesman John Kirby said. Some of the most intense fighting in the five-year Syrian war erupted after last month’s failed Turkish coup—and it is probably no coincidence. Turkish President Recep Tayyip Erdogan was an early and indispensable backer of the uprising against President Bashar al-Assad’s regime. Since 2011, Turkey served as a rear base and supplier for a variety of Syrian rebel groups, including those on the Islamist fringe. That support is now under threat. Many of the top Turkish military and intelligence officials involved in programs to assist the rebellion, including the commander of Turkey’s 2nd Army responsible for borders with Syria and Iraq, have been detained for alleged involvement in the July 15 putsch. Such a sea change in the regional balance of power appears to have had the immediate effect of emboldening Mr. Assad. Within days of the coup attempt, Mr. Assad’s forces, aided by Iran, Hezbollah and Syrian Kurdish militias, pushed tocomplete the encirclement of the rebel-held eastern half of Aleppo, Syria’s largest city. WASHINGTON — Donald J. Trump’s statements on Russia tend to follow a pattern. He will say something in support of the country, praising its leader or promising to realign some aspect of American policy to its benefit. Foreign policy experts will express outrage, and Mr. Trump, ever defiant, will refuse to budge. 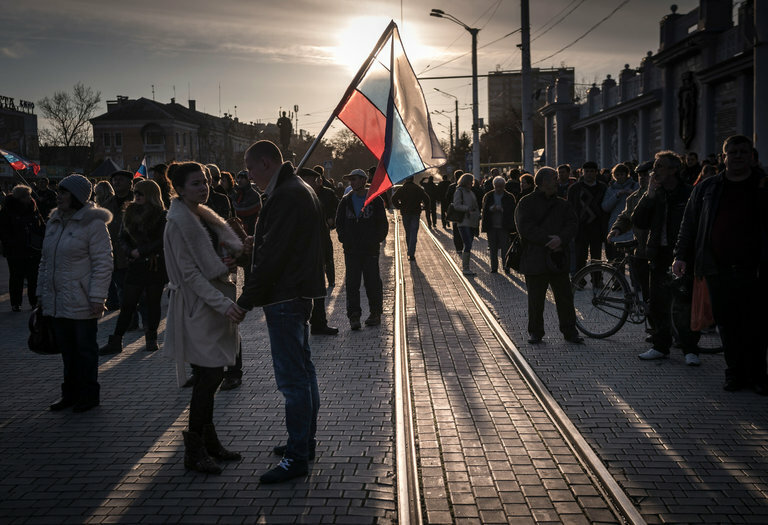 But on Monday, he found a Russian policy he could not support: the country’s aggression against Ukraine, including its 2014 annexation of Crimea. The muddled comments left analysts to guess at Mr. Trump’s meaning. Given his record of defending Russia, it seemed possible he was toeing the Kremlin line on Ukraine. But on Monday, Mr. Trump said he had meant that, if he became president, his leadership would deter Russia from further meddling, a position consistent with his past statements. 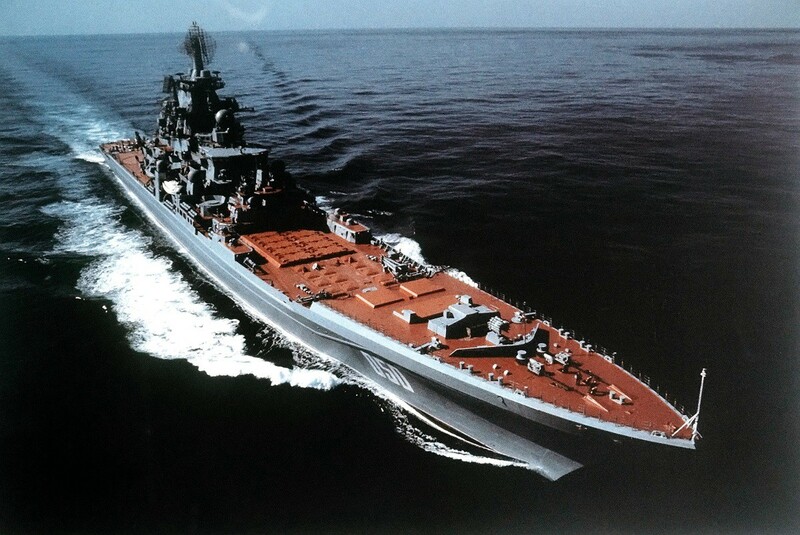 At midnight the Russian fleet slept. A few minutes after the clock struck 12 a.m. on February 9, 1904, Tsarist Russia's Pacific squadron peacefully bobbed at anchor at the Russian naval base nestled in the Manchurian town of Port Arthur. Ashore, the mood that night was festive as the garrison's army and naval officers availed themselves of refreshments at a birthday party for the admiral's wife. Soon their revelry was disturbed by flashes in the night and the dull thud of torpedoes slamming into metal hulls. Some thought it was fireworks in honor of the admiral's wife. In reality, it was Japan announcing the beginning of the Russo-Japanese War with a surprise attack on the Russian fleet at Port Arthur. The drunken partygoers should not have been so surprised. Russia and Japan had long been on a collision course over who would control the plentiful resources of Manchuria, and ultimately the Far East as well. With the newTrans-Siberian Railroad linking Moscow to the Siberian port of Vladivostok, and having forced a feeble China to cede Port Arthur in 1895, Russia had asserted its ambitions to become the dominant power in the region. Unfortunately, Japan had the same idea. Just fifty years before, the samurai had brandished their swords in impotent frustration at the American warships that dared to break Japan's feudal isolation by sailing into Tokyo Bay. But with astounding determination and energy, Japan had built a modern army and navy powerful enough to defeat the ailing Chinese Empire in 1894-95. Today we’ll consider which would have the upper-hand at various engagement ranges—blows long and short, all are permitted! And just to keep the audiences on its toes, we’ll examine the battle in backwards order, like in that oneSeinfeld episode. Within Visual Range—Bringing Invisible Swordsmen To a Gunfight? Missile technology has long promised to make air combat about slinging missiles over distances well over 100 or even 200 kilometers. But if bothaircraft use stealth technology, the range at which they can accurately target each other with radar-guided weapons is drastically shortened. Which in theory could bring back more close-range dogfights. Let’s first acknowledge that the F-22 and T-50 share many excellent characteristics: both can supercruise (go supersonic without using afterburners) at over one and a half times the speed of sound—the Raptor faster than the PAK FA at Mach 1.8 compared to Mach 1.6. Both can operate at up to 65,000 feet high, higher than the new F-35 Lightning. So who ends up on top if the two discrete aircraft end up neck and neck in a Within-Visual-Range (WVR) dance of death? 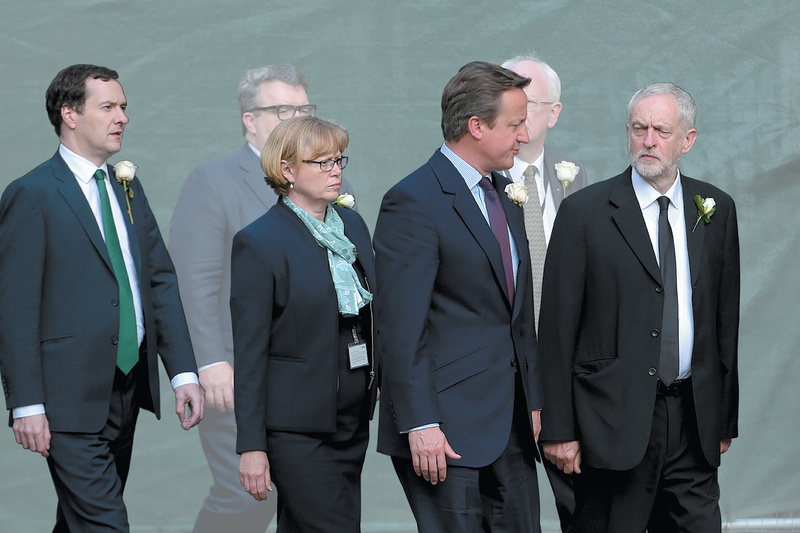 James Veysey/Camera Press/ReduxUK Chancellor of the Exchequer George Osborne, House of Lords shadow leader Angela Evans Smith, Prime Minister David Cameron, and Labour leader Jeremy Corbyn at a memorial service for Labour MP Jo Cox, St. Margaret’s Church, Westminster Abbey, London, June 2016Political drama on television is finished. No fictional version could match the vicious infighting in both main political parties in Britain that followed the vote on June 23 by the British people to leave the European Union. Yet the political class, still in a state of shock and disbelief, shows few signs of recognizing the cause of its undoing. The campaign was not a reasoned discussion of the case for the two options but a propaganda war, the likes of which I cannot recall before in Britain, with both sides calling each other, and with some justification, liars.2 And both sides continue to believe passionately that the other was the worse sinner. The Israel Defense Forces (IDF) Artillery Corps is in the process of introducing a new tactical doctrine that combines short bursts of shell fire with guided surface-to-surface missiles. Speaking on 2 August, Colonel Rami Habudraham, the commander of the Flame of Fire Artillery Brigade, said his formation has been training to use what he described as the new "intelligence-based combat" doctrine in recent months. The Flame of Fire Artillery Brigade was formed at the start of this year with personnel from the Field Artillery School at the Shivta training base in central Israel and will be deployed during a high-intensity conflict. In addition to howitzer units, the brigade has a company equipped to carry out precision strikes using Israel Military Industries (IMI) Romah guided munitions fired from M270 Multiple Launch Rocket System (MLRS) and another company that can launch Rafael Tamuz (Spike) missiles. It has its own field intelligence-gathering unit and has been equipped with radars to locate the source of incoming fire. These organic capabilities are part of a drive to reduce the 'sensor-to-shooter cycle' and enable artillery units to swiftly engage fleeting targets, such as rocket launching teams. This controversy is not merely another spark of the campaign season, for, according to news reports, President Barack Obama himself is considering implementing a “no-first-use” pledge regarding nuclear weapons — that is, a promise never to be the first to use nuclear weapons. Such a pledge would be exceedingly unwise. Will the Army forget or discard the counterinsurgency lessons learned over the last 15 years? I hope not but, if history is a guide, there is little reason to be optimistic. In 1971 I was a young 82nd Airborne infantry lieutenant, Ranger-qualified, trying to get to Vietnam to do as I had been trained. After several attempts and discouragement from higher ups saying the Army was trying to get out of there, I finally succeeded and became an infantry platoon leader for six months. After the unit stood down I was transferred to be an installation security officer in Qui Nhon, where I controlled an indigenous guard force of Montagnards and Nungs. In late 1972, I returned to the U.S. and was assigned to the 101st Airborne Division, where I served in several positions, including rifle company commander. The Army was undergoing a tremendous downsizing. 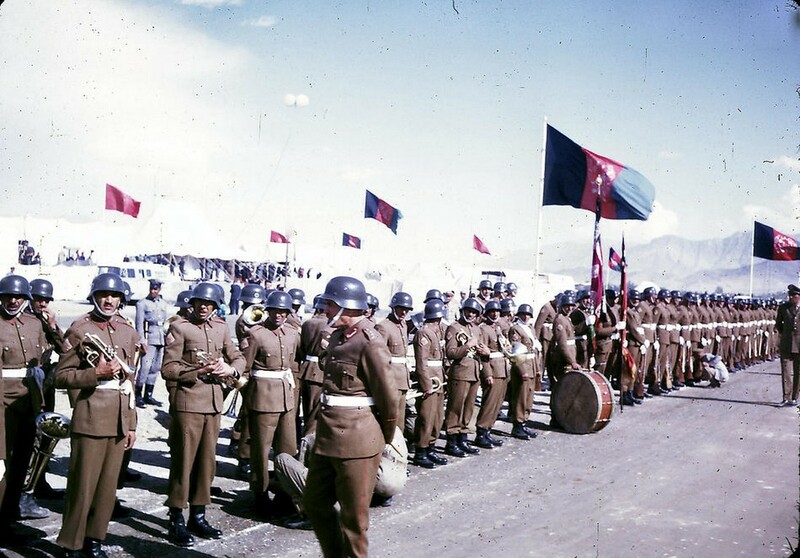 In 1975 a reduction-in-force (RIF) took place among young captains, my peers. Although I am unaware of any specific instructions given the board, the outcome left little doubt. Of the 16 or so captains assigned to my brigade and in the zone of consideration, about half had served a tour in Vietnam and half had not. The board results? All but one of those who had served in Vietnam were given their walking papers. Those who had not? All but one were retained. No Vietnam experience needed in this man’s Army — we’ll never do that stuff again! On to the Armor Advanced Course. No Vietnam experience or counterinsurgency there, but that’s not a big surprise—not their core interest. Then Special Forces qualification, with its emphasis on insurgency and counterinsurgency, where finally experience was treated as having value. But unfortunately, assignment to a group meant learning the planning for the wartime mission: nothing to do with the indigenous personnel but rather a requirement to act as a glorified long-range recon force in Eastern Europe if ever called upon. Command and Staff College: “Active Defense, breakout of encirclement with a heavy brigade, “First Battle,” etc. No hint of counterinsurgency, military operations other than war, or anything other than defeating the Red hordes. Necessary to be sure, but not really complete. War College? Can’t really say as I had a fellowship in a think tank, but emphasis at Carlisle was on strategy, not tactics or even operational art. The Army was effectively split in its approach. It was training very effectively for the “big one.” But on the ground it was doing Grenada, Panama, Desert Storm, Somalia, the Balkans, Haiti, Enduring Freedom (Afghanistan and Philippines), Iraqi Freedom. The first two had little counterinsurgency content (although there was some), but both were conducted “amongst the people,” rather complicating matters for the maneuver units. Desert Storm and the first couple of weeks of Iraqi Freedom? These were the wars we were looking for. Somalia, the Balkans, Haiti, Afghanistan, and the rest of Iraqi Freedom? Counterinsurgency played a major role everywhere. Yet the Army was not prepared or educated for this role. At best, counterinsurgency was considered a “lesser included case”. The belief, just as it was before Vietnam, was that good conventional troops can beat guerrillas easily. In Afghanistan, where I led a special operations rotation in 2002, our tactics were grossly inappropriate and counterproductive. Senior military leaders seemingly did not understand how to get a grip on what was happening. Although I had retired by then, the same lack of understanding seems to have played out in Iraq. It is fashionable in the military to blame everything on the Secretary of Defense, but in truth the advice he was getting was inadequate and often inappropriate. Would it have gone better if he had gotten better advice? Don’t know (he was a little opinionated, wasn’t he? ), but it couldn’t have hurt. The nadir was reached when General Casey, a mechanized infantryman, was appointed commander of the forces in Iraq. As documented in Fred Kaplan’s The Insurgents, prior to taking command while in an office call with the Chief of Staff, he admitted to never having read anything about counterinsurgency. To his credit he read the proffered book and instituted counterinsurgency study upon arrival in Baghdad. It wasn’t his fault the Army had never exposed him to studying that type of warfare during his career. But it is a commentary on the Army’s priorities in the years between 1973 and the early 2000s, even though many of the operations conducted had at least some counterinsurgency component. Now, over the past dozen years or so, the Army has developed a significant cadre of officers with extensive counterinsurgency experience and more competency in that regard than the institution has ever enjoyed. Will this experience and wisdom be lost by the current perception that we’ll never do that again? Unfortunately, history says yes. The Army as an institution loves the image of the big war: swift maneuver, tanks, heavy artillery, armed helicopters overhead, mounds of logistics support. The nitty-gritty of working with indigenous personnel to common ends, small unit patrols in civilian-infested cities, quick clashes against faceless enemies that fade back into the populace — not so much. Lessons will fade, and those who earned their PhDs in small wars will be passed over and left by the wayside. Here is the problem with that approach: The ability to win the big one is vital, but so is the ability to win the small wars. We paid a price for forgetting what we learned in Vietnam. I hope succeeding generations do not have to pay again. BG (retired) John Scales served for over 32 years in all three components of the U.S. Army. Assigned primarily to special operations and infantry units, his last tour of duty was as one of two deputy commanding generals of the Joint Special Operations Command. An inventor with four patents and a PhD in engineering, he is also an avid student of military history and has authored several books, primarily on the American Civil War. Russian Meddling in U.S. Election - Cyberwarfare?